Two years! 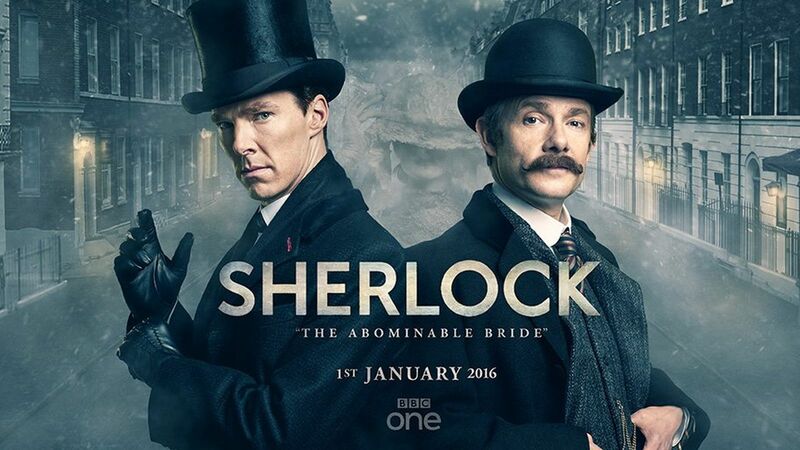 Sherlock fans waited two years for the Sherlock Special…and it was SO worth the wait! Here are some of my favorite moments from the #SHSpesh! Do not read if you haven’t watched the special episode…SPOILERS! Suffragette Molly: Our first glimpse of our beloved Molly Hooper is in her usual role as coroner, but in Victorian England a woman having that kind of status would’ve been unlikely. Leave it to Molly to assume the identity of a man to do the job that she loves – and she does it so well that no one, except Sherlock, is any the wiser! Canon Mycroft: Mark Gatiss portrayed Arthur Conan Doyle’s fat and lazy Mycroft so well – so different than the Mycroft that we’ve come to know on the television show. The bet between Mycroft and Sherlock on how long Mycroft will live based on his gluttony was comical. The Holmes Brothers will make anything a competition! Brotherly Mycroft: The relationship between the brothers is one of my favorite things about the television show. There is so much tension between them, but underneath it all Mycroft wants to protect his brother -- even when Sherlock makes it difficult. The pain in Mycroft’s eyes when he realizes that Sherlock has gone off on a drug binge is palpable – sadly, this wasn’t the first time and he knows it won’t be the last. MORIARTY! : He’s baaaack! I don’t think I’ve ever loved a villain as much as I love Andrew Scott’s Moriarty. He’s just delicious – every scene between Scott and Cumberbatch is electric! That said – there was a huge sigh of relief when we figure out that Moriarty is truly dead. Mary Saves The Day: Victorian age Mary and modern day Mary are key to exposing Moriarty. Amanda Abbington was brilliant in this episode, but I wish we could’ve seen more of her and Louise Brealey. I need more from these amazing women. The Gown: Okay, how many of you saw Emilia Ricoletti’s wedding gown and said, “That’s my next cosplay!” Just me? I don’t think so – I think we’re going to see a few Emilia Ricoletti’s at SDCC. Return of the Mind Palace: Loved the Victorian version of Sherlock’s Mind Palace – I always love “seeing” the way Sherlock’s mind works. It’s manic, puzzling, and exciting when we see him put all the pieces together. Some people didn’t like the fact that this episode wasn’t a stand-alone and didn’t like the back-and-forth cuts from modern day to the past – but I think it was a useful device to show how Sherlock was trying to reconcile his emotions and frustrations. We eventually find out that everything was a drug induced dream – once again, we see our Sherlock is a flawed human being that pushes everyone that loves him to the brink. Sherlock and John’s RelationSHIP: Finally, I love that we get to see how Sherlock feels about John Watson through his own intimate, inner feelings. Over the course of the show we’ve seen Sherlock express his love for Watson – remember his heartfelt wedding toast? But in The Abominable Bride we see how much Sherlock needs Watson’s respect, approval, and how much he fears letting Watson down. And, we see once again Watson come to Sherlock’s rescue – this time at Reichenbach Falls and killing Moriarty. It was a great moment paying tribute to both Canon and past BBC Sherlock episodes. It’s safe to say I LOVED the episode – I loved the trip back to the time of Arthur Conan Doyle, the fashion, and cinematography. And I love that there was a tie-in to past episodes – the special got a little complicated bouncing between the past and present, but I think we got to know Sherlock a bit better than before which will help us understand our favorite detective in the next season. Sadly, I think our tormented Sherlock has some dark days ahead. To ALL of this!!! 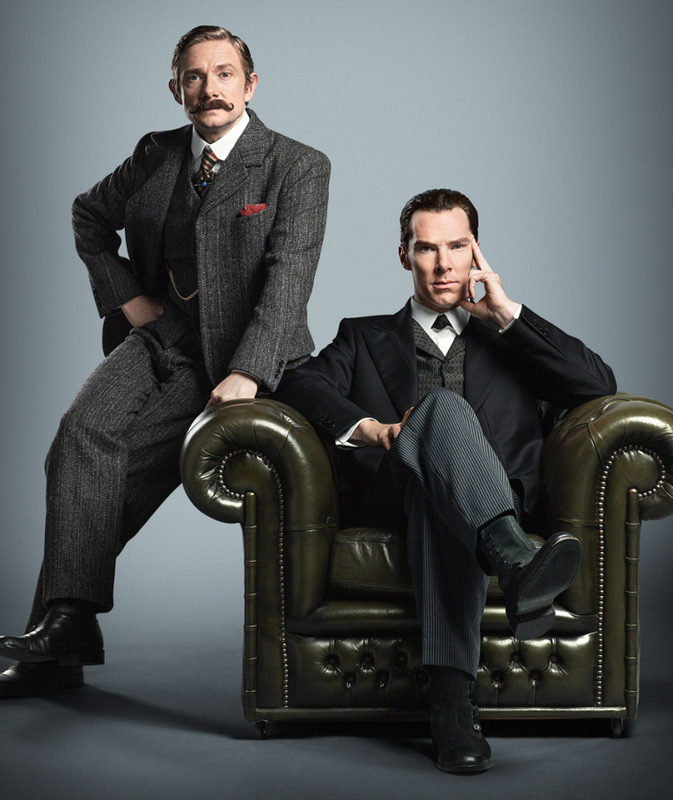 I especially loved the mind palace, and the portrayal of Sherlock's flaws. One thing I often have a hard time with in television, is the lack of successful addicts not being glorified. Sherlock's addiction was portrayed as a negative, but, the addict himself Sherlock was still portrayed as a human being. And it was the most human I've seen him. I don't know if I'm wording this correctly, but, it was just surprising they went there, and that they did it in a caring way, and showed how it affects the people who love and care for him. Sherlock didn't recognise Molly at first, Watson did. But yesyesyes to brotherly Mycroft, my heart hurt watching him worry! Mycroft reminded me of a Monty Python character...and I loved it.